Ideal Twister Tan Wire Connectors are a little different from the average wire nut; these are all about user safety. Made of polypropylene, Twister wire joints can withstand 600V of electricity, are designed with a skirt to provide dielectric protection and guard against combustion, and of course Ideal wire connectors are UL listed and CSA certified. The outer shell will resist up to 221°F, which is “ideal” for high temperature environments. The skirt and ribbed grooves in the cap give the user a better grip over the marr connector during installation. 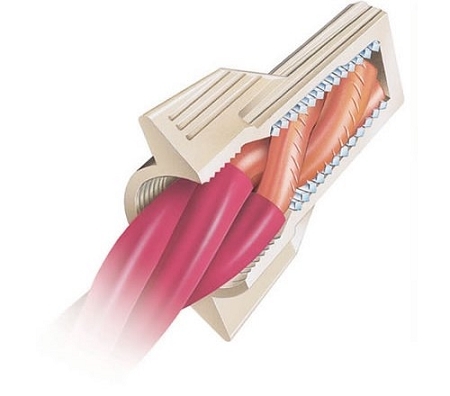 Spliced wires are also protected by these tan wire joints; the square wire expands and adjusts to the size and shape of the new connection, encasing it in a vibration-resistant shell. 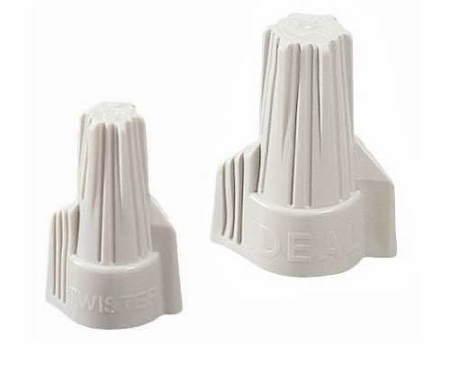 If you plan on using tools for installing Ideal Twister Wire Connectors, their hexagonal shape is perfect for standard nut drivers. For the product dimensions, please click the "More Information" tab. 17/64" 29/64" 23/32" 23/64" 1 1/8"